A different way to turn bowls without having to drill holes in your wood is to use cloth backed double faced tape to adhere the bowl blank to the faceplate of your lathe. This works great if your bowl blank is balanced and true, the tape will hold during the turning and finishing process. You can turn bowls up to 10 inches in diameter and 2 inches thick. For best results, always make sure that your work surface areas are clean and free of dust and debris before placing tape on the bowl blank. After you attach the blank to the faceplate you may want to clamp it as well for an extra secure bond. Always remember to tug or push on the bowl blank once it is installed on to the lathe to make sure you have a secure bond before turning. 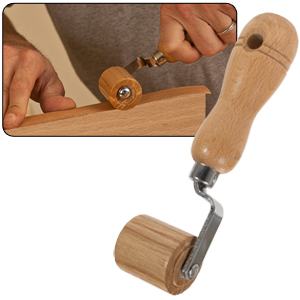 Once completed with your turning project, use a wood chisel to remove the bowl from the faceplate. Caution: make sure the bowl blank is dry, do not use the tape on wet wood. 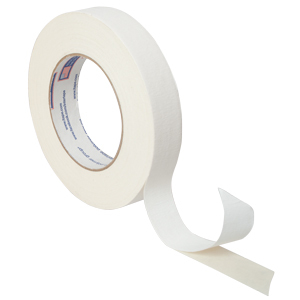 Each tape dispenses 108 feet of double stick tape. When gluing down laminates or veneer, the “J” roller allows you to apply smooth and even pressure on the most difficult laminates and veneers. This “J” Roller features a 1-1/2” dia. 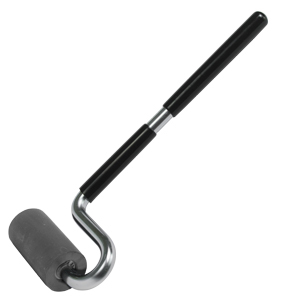 x 3” wide non-marring rubber roller with a 10” long handle with 2 vinyl grips. The SpeedRoller PRO is an ergonomic laminate roller that can be used for any PSA application - especially Fast edge & Speed Tape. The SpeedRoller PRO includes four interchangeable wheels. 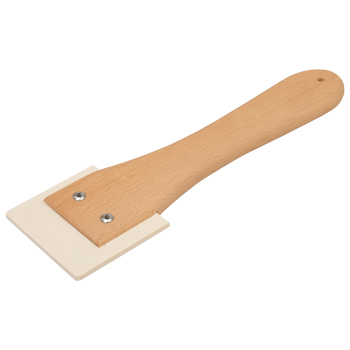 This scraper is designed for applying paper backed veneer with contact cement, Flex-Pro adhesive, and PSA backed veneers. This is a simple tool but it works wonders. It uses a basic but powerful concept in which hand/arm force is used to concentrate pressure at the tip of the tool to achieve an excellent bond between the substrate and the paper backed veneer. 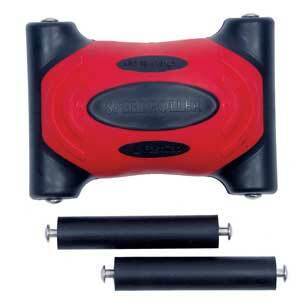 This tool/method creates a stronger surface contact than an ordinary roller.